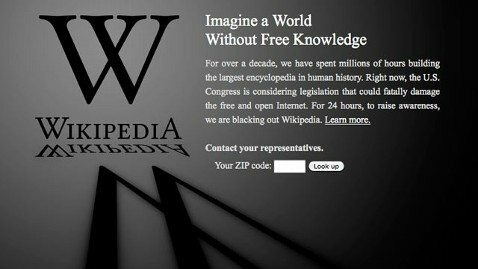 SOPA and PIPA May Be Down, But Are They Out? Okay, so just about every major Internet company has weighed in against SOPA & PIPA and for now it looks like they (we) may have won (for now). Given the online protests by the likes of Wikipedia, Google & Reddit this past Wednesday, it probably hasn’t escaped anyone’s notice that there’s a huge battle brewin’ between free speech advocates and defenders of intellectual property. Recently the advocates for the SOPA have called for it’s withdrawal “until there is wider agreement on a solution.” But that does not mean advocates are going away anytime soon. While there were big names against these bills, lets not forget there were big names for these bills as well. The MPAA, RIAA, Viacom, NBC Universal, Ford, Macmillan, and yes, even GoDaddy, were officially for SOPA & PIPA. Their argument, and it’s a fair one, is that intellectual property laws benefit the economy at large by protecting and compensating the creators of that content. To tell the truth, I want Aaron Sorkin, George Lucas, and The Black Keys to make a boatload of money creating stuff I absolutely LOVE. Yeah, it’s easy to paint the recording and movie industries as gray-haired fossils who ‘don’t get it man’. But seriously, we all gotta eat right? I happen to believe intellectual property law is a good thing. At the same time, open source technology, Creative Commons, Mom, apple pie, and freedom of speech are good things too, right? Innovation (see Napster) leads to insanely great products and services (see iTunes). And at the heart of it, I believe in capitalism and want to encourage entrepreneurship. What’s an enlightened marketing weasel to do? Sharing is not only allowed, it’s encouraged. Whatever your take, it’s important to look ahead and protect the interests of yourself and your company. It goes without saying, you need to be sure you have full right and license to use copy and images contained within your content. At the same time, if you’re investing in inbound marketing, you’re banking on the fact that people will want to share your content within their social networks. Dissemination of your ideas is critical in building awareness about your company and its value. If people are afraid of getting sued or ‘shut-down’, they won’t share. As the goal of content marketing is to get your ideas ‘out there’ while maintaining credit for those ideas, you might consider aligning your content marketing strategy with the licenses available from the Creative Commons website. Still Got Concerns? Make Your Voice Heard. 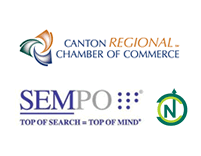 Sanctuary Marketing Group is an Ohio based internet marketing firm. We Shop Stark and we Shop Summit and we vote in our local elections. We encourage our friends to do the same. If you’d like to make your voice heard on this subject we encourage you to reach out to your local Congressman or United States Senator(s) Senator Sherod Brown and Senator Rob Portman.